This October, there’ll be a new exhibit at the historical home of George Washington. Called Lives Bound Together, it focuses on Washington’s role as a slaveholder, as well as attempting to tell the stories of the slaves who lived and worked on the plantation. 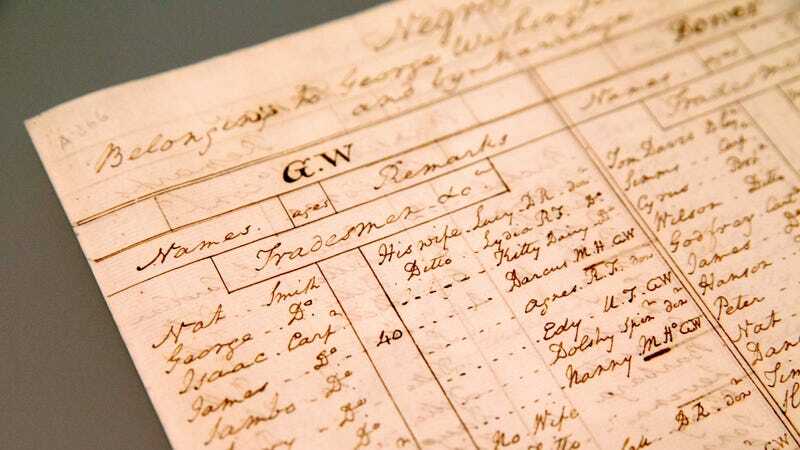 The list, in Washington’s bold, instantly recognizable handwriting, is a powerful connection to the man himself and the men and women who were registered as his property. The AP says that the exhibit will also attempt to piece together—as much as possible—the lives of the slaves who lived on the plantation. “We try to explore their stories,” said curator Susan Schoelwer.